The Witness is not only a masterpiece of game design -- it truly inspires and amazes, without relying on traditional tutorials or restrictive hand-holding. It's one of the few games that respect the intelligence of those playing, rather than guiding them through each and every step. I usually wait until I have a few hours of spare time; usually on a weekend or over the holidays. I boot up my computer, open up Steam, and queue up the game’s install. A quick dash to the bathroom and perhaps a trip to the kitchen to prepare some hot chocolate (or something equally comforting) and I’m all set. It’s time to play Braid again. Anybody who has played video games for a good part of their life might find themselves drawn to a specific game (or a few). Whether they kept us distracted during a troubling time, or introduced us to a virtual world we instantly fell in love with, there’s no denying the power of video games as an interactive medium. Movies and music (among other mediums) can have the same effect, but there’s something special and (by definition) unique when it comes to video games, and that level of interaction and engagement that they offer. You yourself might have a game that strongly resonates with you; for me, that games is Braid. For those who haven’t had the chance to play it, Braid is the first major title from Jonathan Blow, an independent video game developer whose design philosophies are pretty far from what you would call ‘the norm.’ His games are much better for it however; Braid received universal praise when it released, and as someone who has played through it more than a half a dozen times, I can assure you that its acclaim is well deserved. I could go on talking about Braid for hours (trust me, I’ve done so in real life, much to the annoyance of my close friends), but what stands out to me is how much of Jonathan himself is part of the game. Braid touches on some very real stuff, from feelings of regret and longing for things that are long gone, to learning from your past mistakes. It might all sound pretty trivial, but trying to sum up such a deep game in a few short sentences will do that. If you haven’t already played Braid for yourself, I highly suggest you do. Braid‘s release, alongside a few other games, marked an ‘indie game’ revolution if you will; with plenty of mainstream publications beginning to cover indie titles and bigger publishers acquiring non-AAA games into their portfolios. 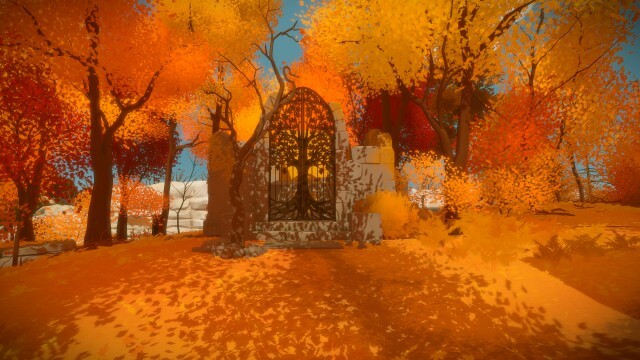 In 2009, Jonathon Blow announced his second major title, The Witness, due for release in 2011. It’s been seven years since. After an hour of two of playing, what surprised me most about The Witness is how much it differed from Braid, both mechanically and visually. Braid, for the most part, was designed and built by Blow, with artist David Hellman in charge of the game’s pre-rendered/static backdrops, and licensed songs filling in for a more traditional soundtrack. Braid had a very unique aesthetic, but it was always simple in scope; the game was split up into distinct levels, and all of it was side-scrolling. Every single one of the levels felt very deliberate, often requiring you to take a mechanic you had just learned and apply it in a very specific way, usually unique to the level you were on. Some may say that each level had its own gimmick of sorts, and while that does sound somewhat pejorative, I wouldn’t necessarily disagree with that statement. In many ways, The Witness feels like the antithesis to Braid. Gone are the segmented, two dimensional levels, replaced by an expansive and open island, on which the game takes place. It’s a sight to behold when you first lay eyes upon it; despite being ‘relatively’ small in size, the island is home to various biomes, from tropical forests and deserts to mountains and marshes. Blow (and his team at Thekla Inc.) employ a liberal use of high-contrast, bold colors, eschewing a more realistic tone for a saturated look. It’s a far cry from the levels that made up Braid, but the open nature of The Witness is a marvel in its own right, mainly because of how the game is designed and how well everything comes together. By now you’re probably wondering what exactly you do in The Witness. The short answer to this is: solve puzzles. Strewn throughout the island are touchscreen panels of sorts, with each panel depicting a maze of some sort. To solve each panel, you use your cursor to trace a path, with a ‘beginning’ and ‘end’ clearly marked on each panel. The challenge comes with the panels themselves, as each panel might require you to interact with it differently in order to successfully solve it. Without going too much into the different types of puzzles, simple panels might have you separating black tiles from white, or tracing a path that crosses over key areas of the maze. As you might expect, the puzzles start off simply enough, though they quickly ramp up in difficulty. During my time with the game, I managed to complete some puzzles in mere seconds, while others took close to 30 minutes, sometimes longer. With over 650 panels to solve, you’ll have plenty of time for head-scratching and contemplation, but the puzzles themselves stand as a masterpiece in game design. While there are plenty of ‘eureka’ or ‘a-ha!’ moments to be had, what’s important is how those moments unfold. I’ve drawn plenty of comparisons to Braid, but in actuality, The Witness differs from most puzzle games. Rather than requiring the player to suss out a trick or gimmick that’s central to a puzzle, The Witness provides you with all the tools needed to solve a puzzle. For the most part, you’ll know exactly what to do when you see a panel for the first time, it’s usually just a manner of solving that problem. To put it bluntly, it’s more logic or math puzzle than it is a riddle. You know exactly what you have to do, it’s simply a matter of doing it. It might sound a little daunting, and to be honest, The Witness is no slouch when it comes to difficulty. Unlike other games, there’s no hint system to help you out or fortune teller to point you in the right direction. Aside from a button prompt explaining how to run, I don’t remember seeing a single hint, line of text, or audio clue to rear me in the right direction. Instead, The Witness teaches you through action. Rather than telling you how a panel might work (let’s say you need to separate black and white tiles), the game will teach you through doing, by slowly introducing a rule, and allowing you to learn it on your own. An introductory tile might show you a puzzle type, with the next few allowing you to figure out the logic and rules that dictate the puzzle. You might expect it for a game that’s been over five years in development, but each puzzle is meticulously well crafted and I always felt like I learned something from each one. And that, the idea of actually doing something on your own, without any hand-holding, is where The Witness truly shines. As someone who’s played enough puzzle games to last a lifetime, I’ve never played one that’s felt this rewarding until now. It’s a true testament to the commitment from Blow himself; there are no red herrings or pixel-hunting to be had. Rather than guiding players through tough moments, The Witness expects you to get stuck and bang your head against a brick wall, but it’s that feeling of triumph when you finally manage to climb that wall and take a peek on what’s on the other side that’s both rewarding and magical. Of course, facilitating this type of gameplay is the island itself. 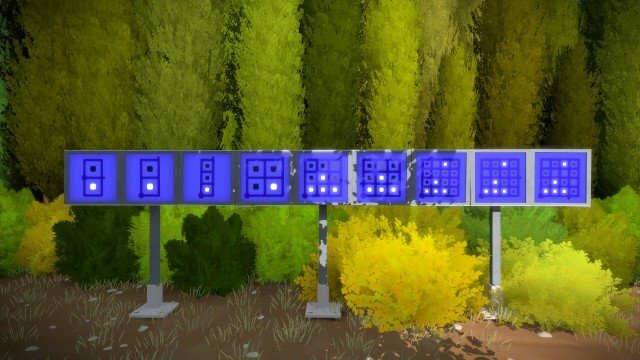 While it might have been inspired from the classic adventure game Myst, The Witness injects a few modern design sensibilities into the mix. As I already mentioned, there’s no false clues or pixel-hunting to get in your way. Instead, the island’s open nature is critical to the player’s progression through the 600-some-odd puzzles. The minute you get stuck on a puzzle, or if you don’t feel you have the skills necessary to solve it, you can simply turn around and head elsewhere. The entire island is open from the onset and fully explorable, and The Witness does everything in its power to encourage your sense of discovery; wires running between panels easily allow you to stumble onto new puzzles, and there are plenty of landmarks and buildings that draw you in from a distance. There’s also the option of travelling by boat, which allows for some downtime to soak in the sights and the sounds the island has to offer. There are no fetch quests to find a specific key or arbitrarily locked doors to halt your progress; if you can see something off in the distance, you can walk there without any trouble. The one exception to this rule is the mountain top. You see, the island is broken up into 11 distinct areas, with each one having a series of puzzles. Finishing out a set of puzzles triggers a laser box, which shines a beam of light towards the top of a mountain. You won’t need to finish all of the puzzles though; solving at least seven sets of puzzles will unlock the endgame. How long that will take may vary, but I reached the game’s ending at around 25 hours. Granted, I only solved just over half of the game’s panels, and while I can’t divulge any specific details, there are plenty of secrets to discover, with Jonathon Blow himself stating that it would take around 70-80 hours to fully see everything The Witness has to offer. There’s also the matter of the game’s story, which for those who have played Braid, you might not be surprised at how the story is presented. Not unlike Braid, there is no traditional, linear story to experience. Swapping out pages from a book for audio logs, there is a backstory and history to dig into, but The Witness deals less in characters and their personal lives, and focuses more on more less tangible topics. 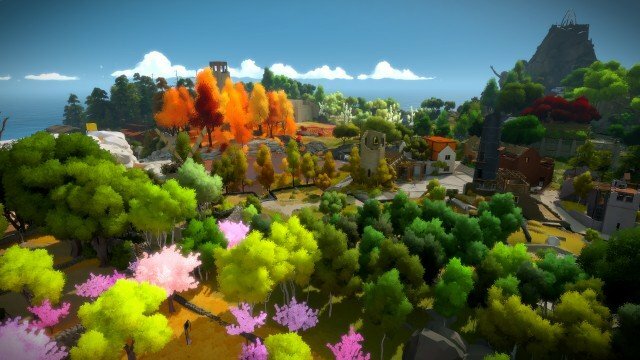 I don’t want to spoil anything, but where Braid touched on themes of regret and is more of a deconstruction of traditional gameplay mechanics, The Witness focuses its story on the human condition, asking us what our purpose is, and how concepts like free will and one’s self factors into space, time and the larger universe. Like Braid, The Witness is more abstract and metaphorical than literal, and it’s the kind of game that’s meant to be experienced more than once, as you slowly peel away the layers on each playthrough. A lot of people come into indie games to try to be like a big company. What those game companies do is create highly polished things that serve as large of an audience as possible. The way that you do that is by filing off all the bumps on something; if there’s a sharp corner you make sure that’s not going to hurt anybody if they bump into it or whatever. That creation of this highly glossy, commercial product is the opposite of making something personal. Things that are personal have flaws, they have vulnerabilities. If you don’t see a vulnerability in somebody, you are probably not relating with them on a very personal level. Making it [Braid] was about, “let me take my deepest flaws and vulnerabilities and put them in the game, and let’s see what happens”. Those words were a reflection on the development process of Braid, but they ring just as true with The Witness. It’s strikingly beautiful, masterfully designed, and technically flawless; all the trappings of what most would call a highly polished game. But at its core, The Witness isn’t commercial, mass-market fodder that will fill the role of water-cooler conversation. 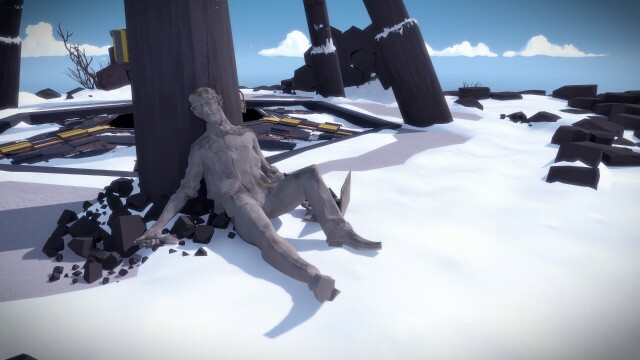 As technically and mechanically different as it is from his previous works, The Witness is every bit as personal as I’ve come to expect from Jonathan Blow. It’s certainly not for everyone; I know that I would be lucky if even a few of my close friends wanted to discuss its secrets and hidden meanings in depth, let alone if they would even be willing to play it at all. 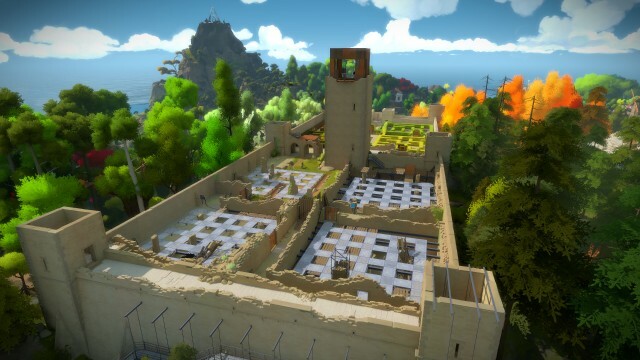 In many ways, The Witness is bound to aggravate more than a few people, with its level of challenge and lack of a traditional story not really falling in line with most conventional games. But to me, these are the things that make The Witness truly special. For the most part, we tend to remember negative moments or events more so than equally (or more) important positive ones; that’s just human nature. There are bound to be some people who will fixate on The Witness‘ abstract narrative or its potentially off-putting difficulty. I initially thought I would as well, but even after thinking about it for hours on end, I can only really remember the triumphs and successes, the moments of amazement and awe, and those truly rewarding moments when all the puzzle pieces fell perfectly into place. To me, that’s the sign of something undeniably special. This review is based off the PlayStation 4 version of the game, which we were provided with for review.